I don’t think we could have been any luckier last week. Our theme for the week was snow and we actually got some SNOW!!!! The kids were so excited even though we didn’t have a snow day. Our essential questions for the week was: What makes a snowflake? We started off the week by researching snow on pebble go. The kids learned a lot and so did I believe it or not. 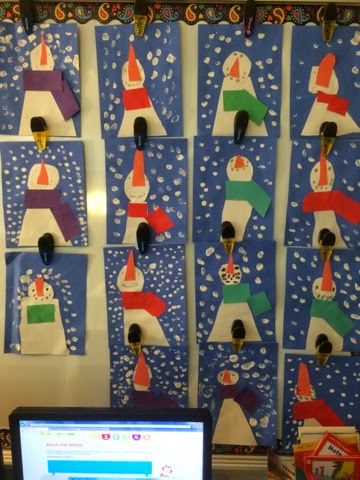 As a fun crafty project we made snowmen. They loved it!!! and they didn’t turn out too bad.